← What Business Books Have Inspired You? Nothing causes the buyers and sellers of privately held businesses more anxiety than the problem of valuation. The question of selling price haunts both parties. The seller doesn’t want to price his business too cheap and “leave money on the table.” On the other hand, the buyer of the business is afraid he’ll pay too much and not get the best possible deal. In our first article, we talked about the importance of being able to give a good reason for selling. In the second article, we discussed how to get a business ready to sell. In this article, we explore the critical issue of pricing. The most common mistake that I’ve seen in my years as a business broker, is that business owners tend to overprice their business. It’s quite natural to do so, particularly if you’ve started the business from scratch and grown it into a successful company. You quite understandably have an emotional investment in the business in addition to a financial interest. It’s the same phenomenon that some of us have experienced when we sell our home. I thought my first home, with all the improvements my wife and I had made, was worth much more that it actually was. I soon learned that the market, not the owner, dictates price. The disadvantages of overpricing a business are serious. As we discussed, the first question most business buyers ask is “Why is the business for sale?” Frequently the second question is “How long has the business been for sale?” If the business has been on the market for a long time and hasn’t sold, it raises real doubt in the buyer’s mind, which is hard to overcome. Another problem with an overpriced business is that if you’re using a business brokerage firm, the agents in the office will immediately recognize that the business is overpriced and give it very little exposure. Most business brokers work strictly on commission. They don’t get paid until the business is sold, and they will not waste time on a business that will not sell because it is overpriced. And today’s business buyers are pretty savvy. All of the appraisal guidelines and rules-of-thumb on valuing businesses are available on the Internet to anyone who will take a little time to find them. So most buyers will have a fairly accurate idea of what a particular business is worth. If a business is grossly overpriced, the buyer prospect will not even look – and you’ve lost some of your best prospects who will go on to buy another business for its fair market value. So, if you don’t retain anything else from this article, let it be this from the voice of experience and the school of hard knocks: Nothing is harder to sell than a business that is overpriced. The appraisal of privately held businesses is not an exact science but there are guidelines and rules-of-thumb that can be used for a quick approximation of value. And formal business appraisals are now readily available. Certain situations require a formal business appraisal such as the larger merger-acquisition situations, large loan applications, management performance tracking, estate planning, divorce and the most dreaded of all — IRS issues. And you might want to order a formal appraisal of your company. After all, it certainly takes the guesswork out of the situation. However, what we will discuss here is not a formal appraisal but rather the informal methods of quickly approximating the value of a business entity. All of the guidelines we’ll quote are averages derived from hundreds of completed transactions reported to national and regional databases. Most small business transfers are asset sales. This means that the buyer of the business buys certain assets of the business – usually the furniture, fixtures, equipment, inventory, the business name, and goodwill. These assets are transferred to the buyer at closing free and clear of any financial encumbrances. Generally not included in an asset sale are the cash on hand and the accounts receivable. These two items are usually retained by the seller. The opposite of an asset sale is a corporate stock sale. In this case the purchaser buys the outstanding shares of stock in the corporation, thereby taking control of all the assets and debts of the business. And a basic word on business value might be in order here. An on-going business entity that is earning a profit is worth more than the sum of its tangible assets. What is really being transferred in the sale of a business is an income stream. Business appraisers seek to put a value on that income stream. There are two kinds of business appraisal guidelines. The first one — and the easiest to use — says that a business should sell for a certain percentage of annual revenue. The other formula works off of the discretionary cash flow of the business. These guidelines include all furniture, fixtures and equipment needed to do business. Inventory value, at cost, is added to the guideline results. And as stated above, the sellers of most small-to-medium size businesses do not include in the sale any cash or accounts receivable. Hence, the guidelines do not include these items. Nor do the guidelines include any allowance for real estate. The guidelines assume that the business is in a leased location at a competitive lease rate. If real estate, cash or accounts receivable are to be included in the sale of a business, their value should be added to the guideline results. And these guidelines assume that the business is making a net profit percentage that is average for the type of business. If the business is above or below average in profit percentage for its category, the resulting values would need to be adjusted accordingly. If, in the worst case, the business is only breaking even or loosing money, even after the adjustments used to determine true cash flow, then these guidelines do not apply. If the business has no positive income stream to sell, then about the best price a business owner could hope for in this case would be the discounted value of the inventory, furniture, fixtures and equipment. First, almost all profitable privately held businesses with annual sales under $5 million will sell for somewhere in the range of 20% to 80% of annual revenue. In one large database, the average price in the year 2000 of 3,8000 transactions was 44% of revenue. Exactly where in this range of 20% to 80% of revenue the selling price of a specific business falls depends on the kind of business. Convenience stores, for example, are at the low end of the range and dry cleaners are at the high end. If you’re working with a business broker, ask him to look up the appraisal formulas for your type of business. The other set of guidelines seeks to approximate the value of a business by applying a multiple to the discretionary cash flow that a business generates. This second guideline states that most businesses will sell for between one to six times owner’s discretionary cash flow. Exactly where in this range that a specific business falls, again, depends on the type of business. From the database of completed transactions, we know that retail establishments sell for a lower multiple than manufacturing businesses. Again, ask your professional advisor for the multiple that applies to your kind of business. Remember, the market determines price. Make sure that you understand the market for your kind of business. It’s a sure bet that your prospective buyers will. 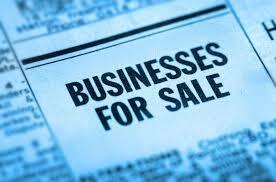 And finally, if you are using a business broker in the sale of your business, work with him. He has access to myriad resources for all types of businesses. And your broker can assist you in obtaining, if you desire one, a professional and fully documented, independent third party written appraisal of your company that will take any doubt out of the situation. After you’ve come to a fairly accurate conclusion of your company’s value, then you need to price the business for sale. Because all buyers will want to negotiate from whatever price you quote them, you need to add in a “fudge factor” for negotiating purposes. I usually suggest 10% to 15% “padding.” Then you can use this margin as “wiggle room” as the negotiations proceed. In the next article, we will discuss the available finance sources for your business buyer. William Bruce is a business broker, an Accredited Business Intermediary (ABI) and a business appraiser assisting buyers and sellers of privately held businesses in the transfer of ownership. His practice includes consulting services nationally for business buyers and sellers. He may be reached at (251) 990-5934 or WilliamBruceOnline@gmail.com. This entry was posted in Business Valuation & Appraisal, Buying or Selling a Business and tagged business brokers, business buyers, business owner, formal business appraisal, How to Sell a Business, selling a business, selling my business, William Bruce Business. Bookmark the permalink.